When it’s time to remodel a home, the first room that many people think about upgrading is the kitchen. 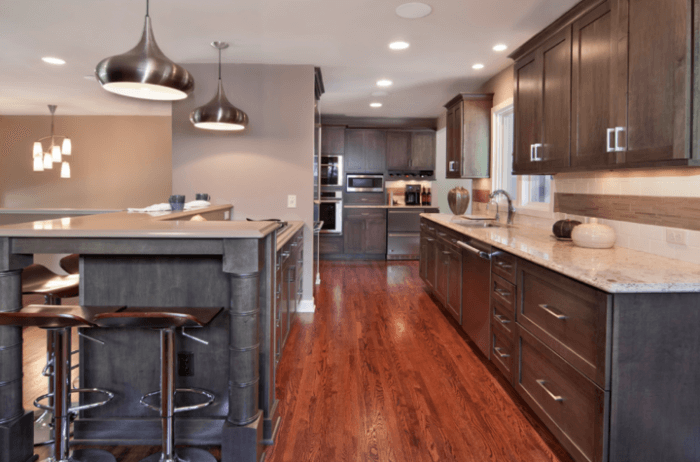 There are many reasons to renovate a kitchen — whether a homeowner wants to create a more stylish space for cooking and gathering with family or simply increase the value of their home, a remodeling project transforms this room into something entirely new. 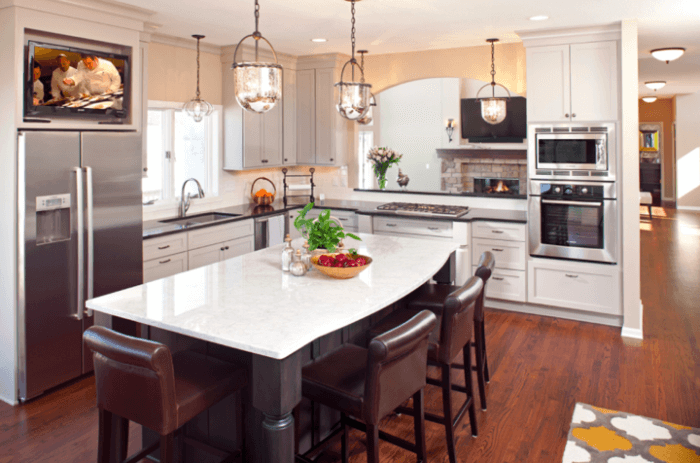 While it’s important to infuse your own design style into a kitchen renovation, it’s also worth learning about some of the most popular trends in kitchen design. Learning about what amenities are popular in modern kitchens can provide inspiration for your project as well as make your property more attractive to potential buyers. Read on to learn what’s new in kitchen design trends for 2017. 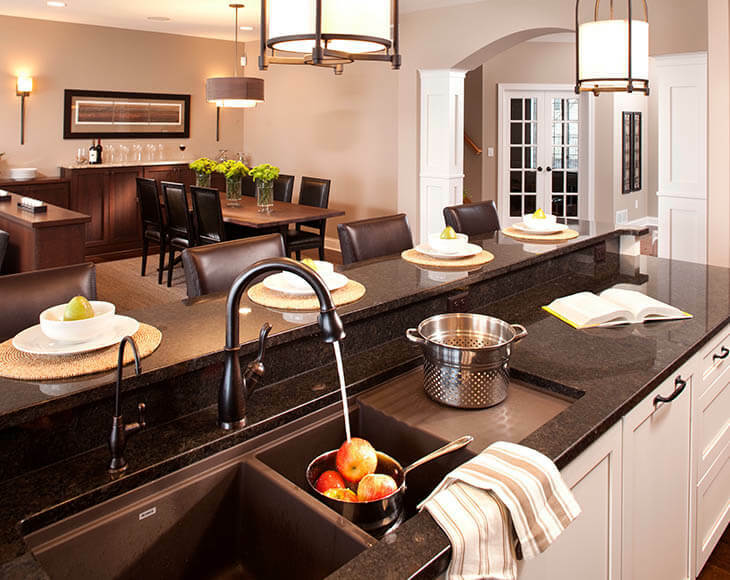 Previously a popular amenity for the super rich, quartz countertops are making their way into homes of all sizes. The price of this material has dropped in recent years, making it an attractive material for homeowners who appreciate its durability and luxurious appearance. Compared to other countertop options such as granite or marble, quartz is less likely to chip or stain, as it is engineered to remove some of the imperfections that come with natural stone. It’s important to be careful with hot pans around quartz — it is typically not as heat resistant as granite or concrete countertops. Once you’ve chosen a countertop material, it’s time to start thinking about smart ways to keep that space clear for cooking. Countertops that are free of clutter tend to make the kitchen appear larger than it actually is, which is helpful when there is limited square footage in this part of the home. Look for cabinetry that incorporates paper towel holders, measuring cup hangers, pull out pantries or even racks for canned goods to keep your items stowed away out of sight. Crockery drawers are a great addition for the kitchen because they allow homeowners to store their dishware in a more reachable area. Similarly, you can place hooks of all sizes on kitchen walls for easy access to pots and pans when it’s time to prepare a meal. You may just find yourself cooking more often when everything in the kitchen is thoughtfully placed and easy to retrieve. In 2017, monochrome tones are sure to be a popular color choice for kitchens. Black, white, and every shade of gray in between are making a splash on kitchen walls, cabinetry and furniture. You don’t have to choose a single color to make the look work. Mixing and matching different monochrome tones is the perfect way to show that your kitchen is on-trend and create a sophisticated look. If you’re looking for a stylish way to complement the black, white and gray parts of the kitchen, think about adding copper-colored accents throughout the space. This neutral color is ideal for door handles, appliances and storage spaces because it won’t stand out too much as a distraction in the room. If you’re planning on selling your home, it’s best to make the kitchen to appeal to as many people as possible — adding touches of copper is a surefire way to impress a wide range of buyers. A remodeling project can feel overwhelming, but you don’t have to go it alone. Our home design experts are available to work with you through your next renovation. We can provide guidance on the latest kitchen trends during the design phase of a home remodeling to ensure your kitchen looks great for decades to come. Contact us today to get started!